A person’s home is in his heart. You are young. You feel at home here. I am old. My home will always be in the mountains where I spent my childhood. Even after a lifetime away, I think about it everyday. You were too young to understand. I was never at home in Pakistan. The war had forced us off our home and farms, far away from our mountains, and far far away from those we knew. We ended up khusk-o-khali in a new country, and with no one to turn to in our time of need. Life was difficult. We ate half-cooked rice every day. It was never enough, and we were left hungry. At night, we all crammed into the little room that belonged to Yousuf’s brother. We didn’t have pillows to sleep on, so we tucked our clothes under our heads. At least we weren’t out in the open. 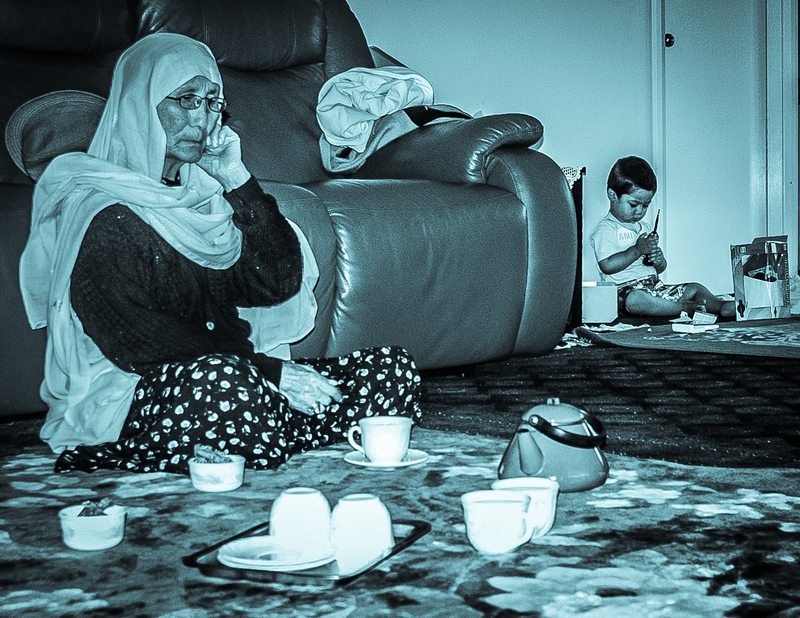 Yousuf’s old mother, may God bless her soul, brought food for you, the children, in secret from her daughter-in-law. She was an angel. After that, we rented a room in the same house as Baqir’s family in Sayedabad. Like your father, Baqir was also a member of the party. We lived as a collective. We took turns to cook, and prepared meals every other night. Your father left for the war or something related to the Party. The Party paid us small stipends. It was never enough. Baqir received the payments for both the families. His family wore better, ate better, and lived better. We didn’t. Baqir was doing something mischievous. Your baby brother fell ill. He was weak and pale. We had no money to take him to a doctor. I asked Baqir for money. He said the Party couldn’t pay us anymore. One day a Pashtun man from the Party visited us. He inquired about our well-being. He looked at you and your brother. I explained to him what was happening. He cursed Baqir, and accused him of keeping more for himself. He encouraged your mother to study. He gave us 200 or 300 rupees to see a doctor. I used some of it to take both of you to a doctor and buy medicine. I saved some, I don’t know what happened to the rest. Perhaps I used it to buy knives, spoons, plates and cups. Baqir’s wife accused us of stealing her scissors, and later her cutlery. She took away the spoons and knives I had purchased. Her brother in law found out, and scolded her. She later found her scissors under the rug in her own room. She then returned to us the knives and spoons. From there, we moved to Ali Dost’s house, and then we rented a room at the house of Hafiz the blind. He had three children. The two older ones were very good kids. The youngest, Talib was a thief. He stole from the neighbors, and from us. He stole your mother’s watch. We had to move to another house, and then another. From there we moved to the house of the Thori. We spent a winter there. There we met Dunya Ali’s mother. They were an excellent family. It was a good experience. Then we moved to Hazara Town. By that time, we had learned their ways. We knew enough to find our way around the city. Life became a little better. Your father’s obsession with his Party kept us poor and miserable, living life on meager stipends. People like him did all the work, people like Baqir kept all the money. Had it all been the will of the Party, we would have starved, and the men would have worked their lives off and died for people who cared neither for them or for us, but their own groups. I am glad that damned party shattered into pieces. It made us all better off. We were not strong. Living in all those places, with all those different people, and dealing with them everyday made us stronger, and resilient. It opened our eyes and minds. Your mother’s family lived in Kabul. 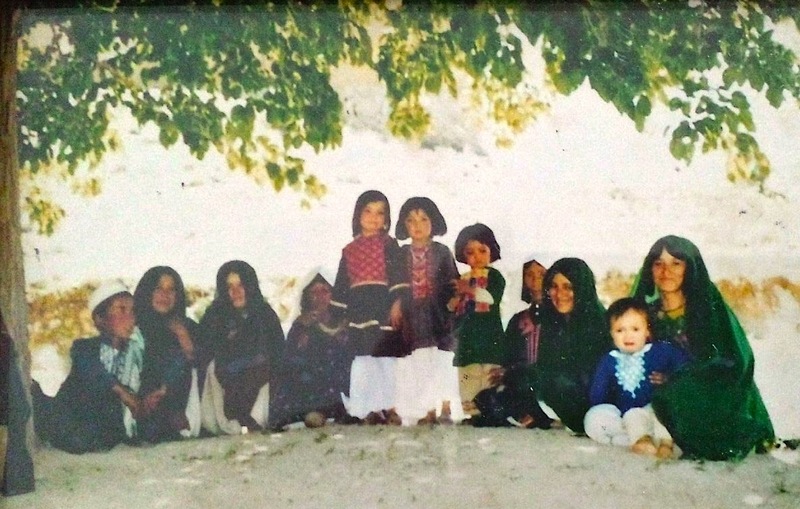 We lived in the village in Watan. The Soviets ruled the country. We had to go to Kabul to bring over your mother for the wedding. The elders wouldn’t let us travel. They feared we would be harmed by the Soviets, or the Mujahideen or get caught in the cross-fire. We could not take the young men with us because we feared they would be conscripted by the Soviets and the government, and sent to the war-front. My son-in-law Aatay Ali Jan had already completed his military service. He accompanied us. We had to go to Kabul, and we did. What should we do with your kids if the Soviets come? Take them wherever you go. Hide them somewhere. We left for Kabul. There were four of us in the car: I, My youngest child, Aatay Ali Jan and the driver. As we reached the main road, I noticed there were other, many other cars on the road ahead of us, and behind us. At a place just past Ghazni, the cars diverged off the main road, and stopped. Turns out there was a Soviet military convoy passing that area. All other traffic had to move out of the way. They convoy came. There were soldiers, and trucks, and cars, and tanks, and more trucks, and more tanks, and more soldiers. There were tanks everywhere. They also had dogs on leash. Then they stopped. Some of the soldiers pointed the guns at the cars, and the soldiers with the dogs approached us. We were terrified. The dogs sniffed around car to car, and then they all returned to their trucks. The were looking for mines or bombs or guns. They didn’t find anything. As fast as they had come, they left, may be for Kandahar. The soldiers in the last vehicle waved at us. Perhaps they were Afghans. There are Soviet tanks ahead. The Soviets will kill you. Come with me and I will protect you in my village. The passengers in the other vehicles refused to go. The driver said the man might be a bandit, who would take us to his place, kill us all, and take all our belongings. We refused his invitation. He wasn’t very happy about it. He cursed us. We drove onwards to Kabul but did not see any tanks or any more Soviets. We got to Kabul, stayed a few days, and began the trip to bring your mother home. We came across another convoy of tanks on the way back. We were terrified, but thankfully nothing happened. Despite our fears, the Soviet didn’t hurt us. We returned home safely. We had a small party, and that was that, your parents were married. Your father didn’t tell us he was going to Australia. He talked about going somewhere, but I had never heard of Australia. I thought Australia was some place just across the mountains. I asked my nephew, Sharif, about this place. He said it was a big big country that was far far away. He said the refugees were going there but not everyone made it there. He said that people spent up to 3 weeks on water, crossed jungles, and that it was a dangerous journey. I was terrified. I pleaded with Sharif to remind your father of the dangers. I begged him to stop your father from going. He said he would try. Then the day came. He left. We wept. He told me not to worry and told us all to look after one another. From Autumn that year to the following Spring we had no information about him, his whereabouts, or whether he still lived. Some people even started terrible rumors about his safety. I chose not to believe them. I did not want to believe them. I believed my son was alright wherever he was. I prayed for him everyday. A few months later, I overheard women from our street talking about a boat sinking, and people drowning. They said those who drowned were Hazaras. Darkness fell upon my eyes. I immediately got up and returned home. I asked around if anyone knew anything else. Some relatives told me not to worry as these were other people. Nonetheless, I wept all afternoon, and did not sleep that night. There was nothing we could do. In the Spring of that year, some time after Nowruz, Moallem called from Iran. He said he had heard about your father, and that he was fine. It made me very happy, but also perplexed. I was concerned as to why he wasn’t getting in touch with us. I wept. A few months later, a man came over from Marriabad and said they had heard from their relative in Australia. He had met your father and had passed to us greetings from him. I was overjoyed, but even more perplexed and terrified as to why he wasn’t getting in touch with us. A few months later, just days before the Eid that year when we were preparing Bosragh when I heard the door knock. The kid from the house next door stood at the door with a phone in his hand. He handed me the phone, and on the other side, I heard your father’s voice. I screamed out of joy. I could barely speak. He was alive, and speaking to me. It was him. I passed it to you. You screamed and cried your eyes out. Then your mother, and the others. We were happy. A few weeks later, your uncle returned home, and said he had received a letter from your father. We were excited, and all gathered around uncle to listen to him read the letter. In his letter your father had written of his year in detention in the desert, his journey through the jungle, his encounter with wild animals and the possibility of death. He said they were being kept in a place in the desert that was cut off from the rest of the world. There were snakes and dangerous things all around their camp. They were in a prison. Our happiness quickly turned into sadness and tears. Your uncle couldn’t read any more of the letter. He folded it up and, we all cried. A long time later, we received another call, and another letter. We found out that he had been released and lived in a city. He sent us his photos. And I saw my son for the first time in years. I was happy. We were all happy.